Zeke was nestled into my shoulder. 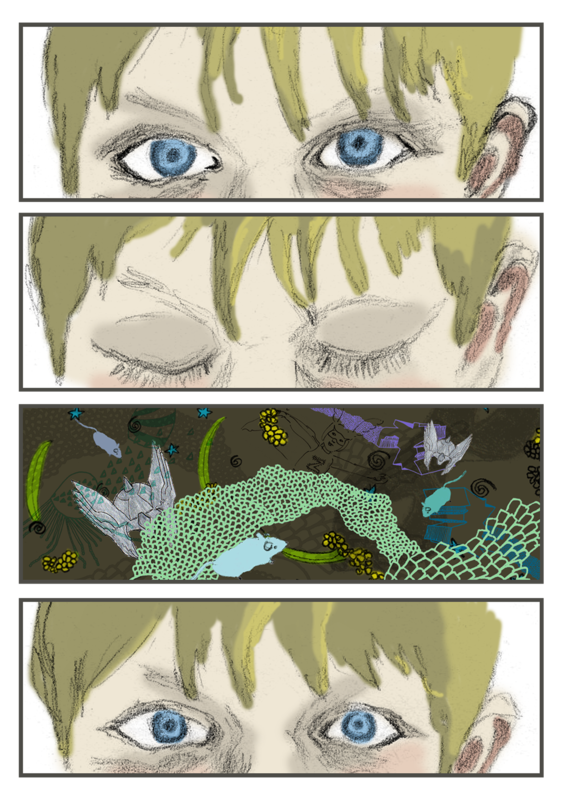 He was still, his breathing even, but his eyes remained open and staring. When I close my eyes, it’s like I see lights. I guess my eyes are imagining. IT’S TIME FOR ARTS AND CRAFTS! Do you crave the rush of power one feels beneath the cloak of anonymity? Follow these simple steps to make your own Zeke-style mask and experience the incredible freedom of stepping out into the world as a superhero! 1. Draw the shape of your favorite super-hero’s mask on cardboard, in roughly the size of your head. Your recycling bin is a great source of easy to use cardboard. We recommend empty cracker or cereal boxes. It is often a good idea to include two square tabs just above ear level to make your mask easily wearable. Cut it out. Don’t forget to include eyeholes. 2. 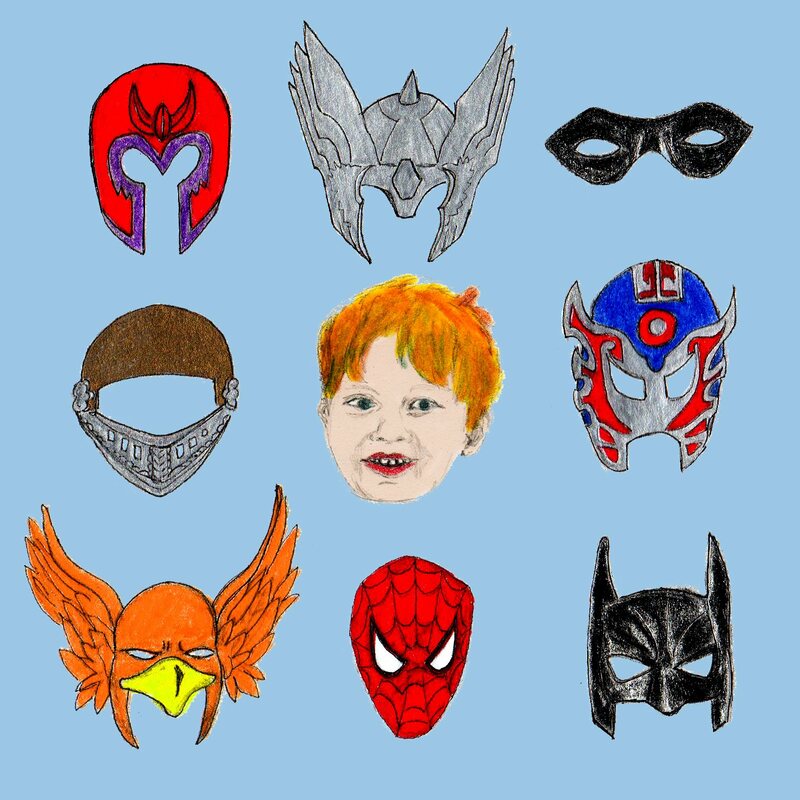 Lay down some construction paper in your super-hero’s colors and trace your cardboard cutout. Cut out the construction paper shape. 3. Glue the cardboard and construction paper together. This is the foundation of your mask. 4. Use crayons or markers to add decorative details to your mask. Get creative! You can also add more cardboard elements to give your mask some dimension. 5. Punch holes in your mask just above ear level. 6. Tie some string in the holes you have punched so that you can wear your mask. Tie one length of yarn to each hole. To wear, position mask at the front of your face and tie the two pieces of yarn together in the back of your head. Having two pieces of string allows the mask to fit heads of various sizes and to tighten or loosen your mask as you desire. Tie ends of rubber band or elastic to the holes in your mask. To wear, pull elastic over your head and position mask as desired. 7. Finish off your outfit with whatever accessories will make you feel the most fabulous and indestructible. Zeke favors scarves or dish towels as capes and socks worn as gloves. He also enjoys wearing a gold sequined “utility” belt which is very handy for strapping on any weapons or any important equipment (e.g. a batarang or possibly a length of rope) that you might need in the performance of your heroic duties. 8. Step out into the world, feel the wind at your front (so that your cape ripples behind you heroically), and use your powers for good (unless of course you have chosen to be a super-villain). Zeke’s interest in super-heros began innocently enough– I mean they are everywhere when you start to look around. On vitamins. Band-aids. Toothbrushes. Cereal boxes. Right at his eye level. Who is that cool-looking masked man? He’d see some brightly colored unitard-wearing guy on something and we’d tell him who it was. So he knew basically who they were. He knew their names. Was familiar with their various outfits. But I certainly never felt like a particular emphasis was placed on them in our lives. Then, one day it was pouring rain outside. The boys were stuck inside the apartment with their babysitter while I frantically attempted to accomplish something and avoid their notice. Somehow the idea of making a Batman mask occurred to me. It was nothing notable. Just one of many diversions that moms come up with all of the time to keep the peace and keep their children busy. 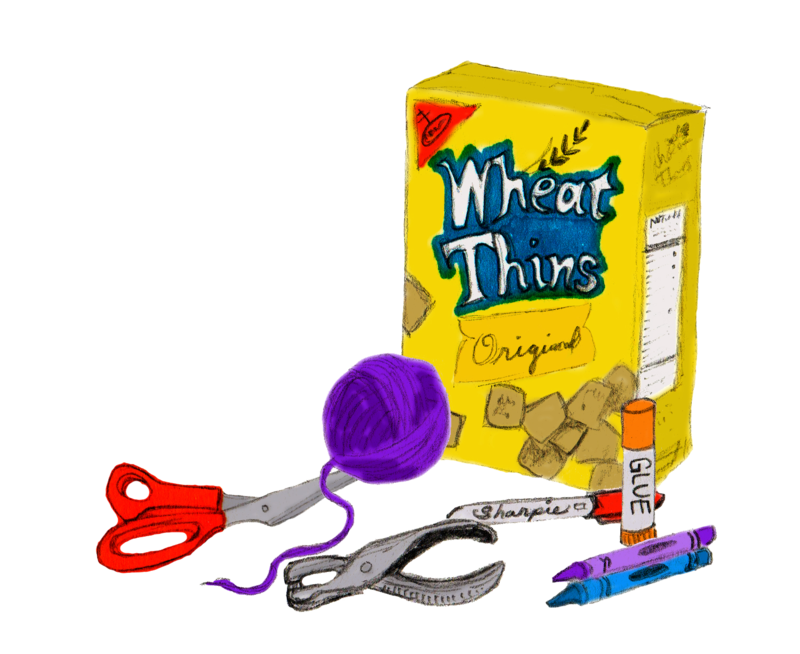 I remember scurrying about, hurriedly gathering supplies: black construction paper, glue stick, scissors, and a Cheerios box from the recycling bin for reinforcement. Deep in the closet I found some purple yarn from a discarded crochet project, perfect for tying on the Dark Knight’s disguise. As I searched for everything and handed it all over to our sitter, I was mentally trying to calculate how much time this diversion could possibly buy me. The incredible thing is, Zeke wore that cardboard mask everywhere for an entire week. Clearly, something in our lives had shifted. The Heroic Age had begun. That week, Zeke answered only to Batman. The only way he could be convinced to bathe and sleep without wearing his mask was to remind him that when Batman was out of his costume, as he frequently was, he was just a regular guy, named Bruce Wayne. So whenever the mask was off, Zeke was Bruce. As we became familiar with Peter Parker, Carter Hall, Matt Murdock, et al (Thank goodness for Wikipedia! ), Zeke’s obsession grew deeper and deeper. New masks had to be made as Zeke discovered new heroes. Before nearly every excursion, capes needed to be safety-pinned to his shoulders, body armor and gloves fashioned from discarded cardboard and socks. I remember quite clearly the frustration of childhood, the feeling that nothing was in your control, that you were always subject to the whims of those practically-minded grownups. So when I watch Zeke assume the mantle of power from behind an old Wheat Thins box covered in paper, a dishtowel fluttering behind him as he zooms across the playground, I feel like I am doing a good thing for him. His various identities make him so happy and so uncommonly proud. If only it was so simple for all of us. If only it could be that simple for him forever.